Sailma 300HI Hot Rolled Steel Plates Supplier, ASME SA 578 Sailma 300HI Offshore Steel Plates Exporter, Sailma 300HI Pressure Vessel Steel Dealer. Marc Steel is a popular manufacturer and trader of Salima 300HI Plates, which has some great features to offer such as accurate dimension, robustness, quality approved and more. 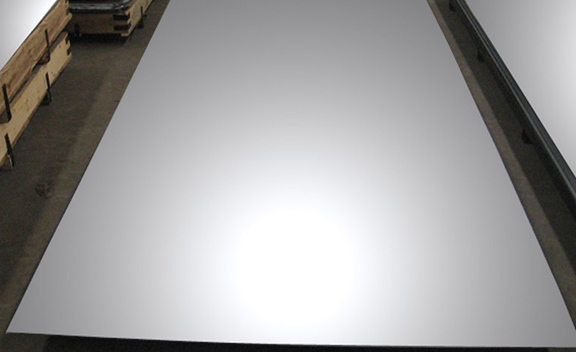 We are also the leading supplier and distributors of Salima 300HI Sheets. These products are available with us at feasible prices. Sailma 300HI Plates Salima 300HI Steel Coils are produced after heat treatment of carbon steel strips to achieve higher hardness and tougher physical properties. Leveraging on our enormous business competency and huge info of this field, we have brought forth a vast gamut of Salima 300HI Coils. For the diverse requirements of our clients, we are engaged in offering a wide range of Salima 300HI Steel Sheets. Further, these High Tensile Salima 300HI Sheets are processed by the downstream facilities for different industry applications. High Tensile Salima 300HI Coils is often used in stairs, industrial floors and tailboards for goods vehicles. SAILMA 300HI OFFSHORE STEEL PLATES, SAILMA 300HI PRESSURE VESSEL STEEL PLATES, SAILMA 300HI ABRASION RESISTANT STEEL PLATES, SAILMA 300HI STRUCTURAL STEEL PLATES, DIN 1.0972 SAILMA STEEL PLATES, ASME SA 578 SAILMA STEEL PLATES MANUFACTURER & SUPPLIERS. SAILMA 300HI HIGH TENSILE STEEL PLATES STOCKIEST, SAILMA ASTM A578 PLATES EXPORTER, 300HI SAILMA HOT ROLLED STEEL PLATES, SAILMA 300HI STEEL PLATES, SAILMA 300HI SHEETS DEALER, SAILMA 300HI YIELD PLATES EXPORTER IN INDIA. They are manufactured as per relevant national and international standards. High Tensile Salima 300HI Plates has some other great features to offer such as abrasion resistance, compact design, precisely designed, easy to use, long service life, precision engineered, durable, rust proof and more. Moreover, these Salima 300HI High Tensile Plates can be customized on the basis of the specifications detailed by the patrons. Buy Salima 300HI Steel Plates at reasonably priced rate from us. Additionally, this Salima 300HI High Tensile Sheets is available in various dimensions and can be customized as per precise requirement of clients at affordable prices. Trinidad & Tobago,Tunisia, Mexico, Hungary, Austria, Macau, Colombia, Greece, Ghana, France, United Kingdom, Poland, Turkey, Bahrain, Venezuela, Nepal, Yemen, Malaysia, Finland, Lebanon, Serbia, Hong Kong, Nigeria, Bangladesh, Pakistan, Belarus, Switzerland, Namibia, Azerbaijan, Gambia, Ecuador, Romania, Ireland, Estonia, Philippines, Denmark, Norway, Iraq, Bolivia, Croatia, New Zealand, Bulgaria, Brazil, Zimbabwe, Mexico, Argentina, Tibet, China, Italy, Portugal, Afghanistan, Japan, Saudi Arabia, Belgium, Slovakia, United Arab Emirates, Russia, Qatar, Lithuania, Peru, South Africa, Angola, Costa Rica, Israel, Puerto Rico, Czech Republic, Netherlands, Taiwan, Spain, Singapore, Gabon, Iran, Canada, United States, Algeria, Libya, Sri Lanka, Kenya, India, Bhutan, Kazakhstan, South Korea, Indonesia, Jordan, Iran, Thailand, Germany, Mongolia, Australia, Kuwait, Ukraine, Poland, Oman, Nigeria, Vietnam, Morocco, Chile, Chile, Egypt, Sweden. Toronto, Lahore, Bogota, Ankara, Seoul, Chennai, Jakarta, Navi Mumbai, Dubai, Baroda, Houston, Chiyoda, Courbevoie, Istanbul, Jamshedpur, Vadodara, New York, Nagpur, Caracas, Bengaluru, Karachi, Manama, Noida, Coimbatore, Brisbane, Thiruvananthapuram, Secunderabad, Ernakulam, Nashik, Melbourne, Montreal, Busan, Cairo, Mexico City, Pune, New Delhi, Ulsan, Hong Kong, Edmonton, Los Angeles, Ho Chi Minh City, Madrid, Bhopal, Faridabad, Howrah, Jeddah, Jaipur, Sydney, Moscow, Granada, Kolkata, Mumbai, Gurgaon, Surat, Hyderabad, Calgary, London, Rajkot, Singapore, Kuwait City, Dallas, Aberdeen, Atyrau, Al Khobar, Ranchi, Pimpri-Chinchwad, Doha, Ahmedabad, Haryana, Indore, Perth, Ludhiana, Rio de Janeiro, Hanoi, Milan, Geoje-si, Colombo, Algiers, La Victoria, Ahvaz, Santiago, Riyadh, Visakhapatnam, Thane, Chandigarh, Kanpur, Muscat, Vung Tau, Sharjah, Port-of-Spain, Bangkok, Lagos, Petaling Jaya, Tehran, Dammam, Al Jubail, Abu Dhabi, Gimhae-si, Kuala Lumpur.